Saturday, April 27th, 2013 - Categories: Competitions, Events. It’s that time of year to put your climbing skills and strength to the test! 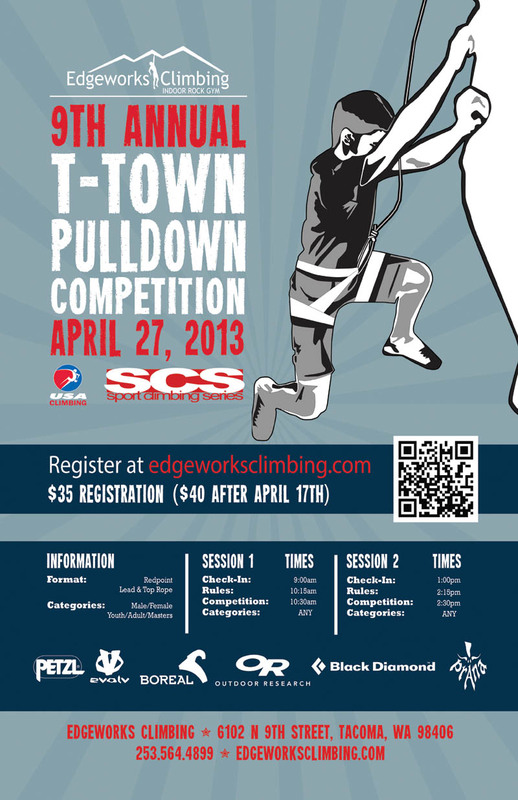 Saturday April 27th will be our 9th annual T-Town PullDown Youth & Adult Climbing Competition. There are climbing divisions for all levels and lots of chances to win PRIZES. Visit our website to register today.